You’d be hard-pressed to find someone with a better perspective on the modern age of Pitt athletics than Dave Jedlicka. 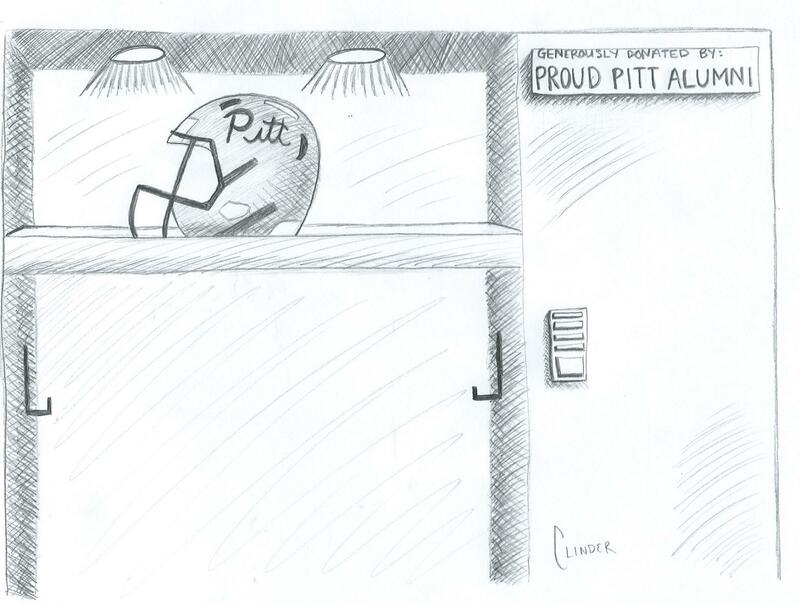 A Western Pennsylvanian since birth, Jedlicka began rooting for Pitt 16 years ago, following a campus tour that solidified the University as his college of choice. He would end up spending 2001-2010 in Oakland, completing bachelor’s degrees in communication science and history and a masters degree in audiology. He served as the president of Pitt’s basketball cheering section, the Oakland Zoo, from 2006-2009. Now, as an alum, Jedlicka is attempting to maintain his bond with the University and help others do so as well. With the help of GoFundMe.com, a crowdfunding website, Jedlicka is hoping to help alumni of any income level contribute to a new era of Pitt athletics. The donation Pitt requires to dedicate a locker is $10,000, but according to Jedlicka, the goal was set higher due to GoFundMe’s site fees. As of June 9, the campaign had raised $4,645, nearly half its goal, with donations coming from 108 people over 17 days. Donations range from $5 to $450. The decision for Jedlicka, who had never tried any sort of crowdfunding before, to fundraise at this juncture was not arbitrary. After being displeased with the previous athletic administration, Jedlicka saw the hirings of Chancellor Patrick Gallagher, athletic director Scott Barnes and head football coach Pat Narduzzi as an opportunity to corral support. Among the 108 GoFundMe contributors is Chris Bruno, a 1999 Clarion University graduate. While not a Pitt alum, Bruno has been a Pitt supporter his entire life and is a staff writer at SB Nation’s Pitt affiliate blog, Cardiac Hill. While the fact that the page isn’t Pitt-sponsored means that the University can’t promote it, the effort has still made waves throughout the department. Pat Bostick, former Pitt quarterback and the University’s current Director of Development, is thrilled with the excitement the page has garnered. Bostick also noted that the administration isn’t simply resting on its laurels in regards to crowdfunding. For Jedlicka, though, the movement is just as much ideological as it is financial.